And our next new Fabricista is.....Diane from Gatorbunny Sews! Some of you might remember Diane from last year's Fashion Challenge. We loved her style and are excited to have her here back on the blog. ~My Pinterest boards, like many of yours, are full of all sorts of “wanna wears” and “wanna makes”. If you were to look at my boards you might say “This girl likes Boden clothing". Their clothes are classic but fun and their fabrics are never boring, something that speaks to the sewist in me. Although it’s been unseasonably hot for a while where I live, I've been wanting to make something for winter and what better project than a Boden inspired skirt. And I love this one! 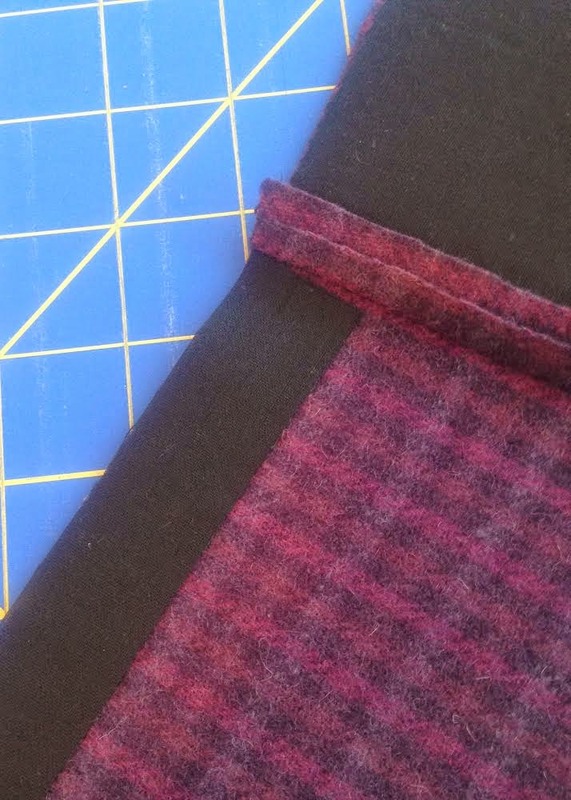 It’s cute, classic, easy to wear and it gives me the opportunity to use wool, one of my favorite fabrics to sew with. 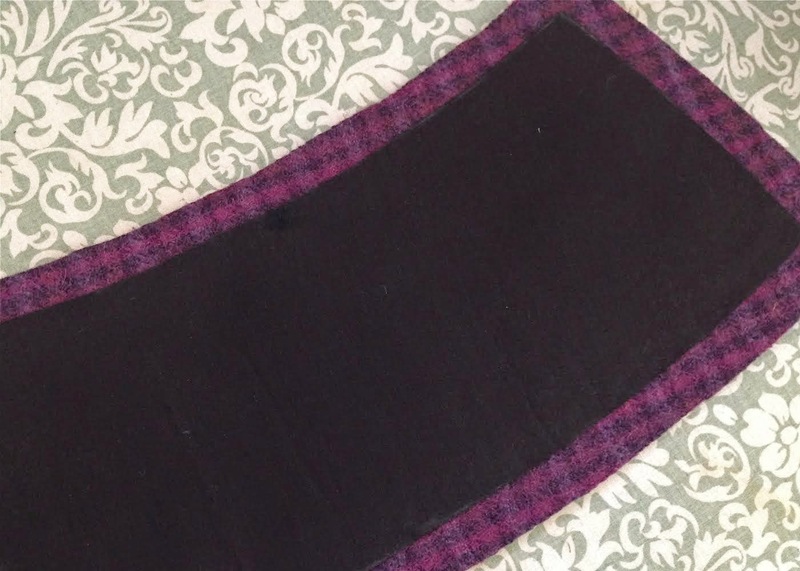 A small plaid Shetland wool from Fabricmart in muted violets and purples won out as my fabric choice but I would've been happy with this one or this one too (always the problem...choosing just one). Shetland is a medium weight springy wool, that’s soft and easy to sew. It doesn't fray and when you pin and sew, the fabric pieces want to stay together. 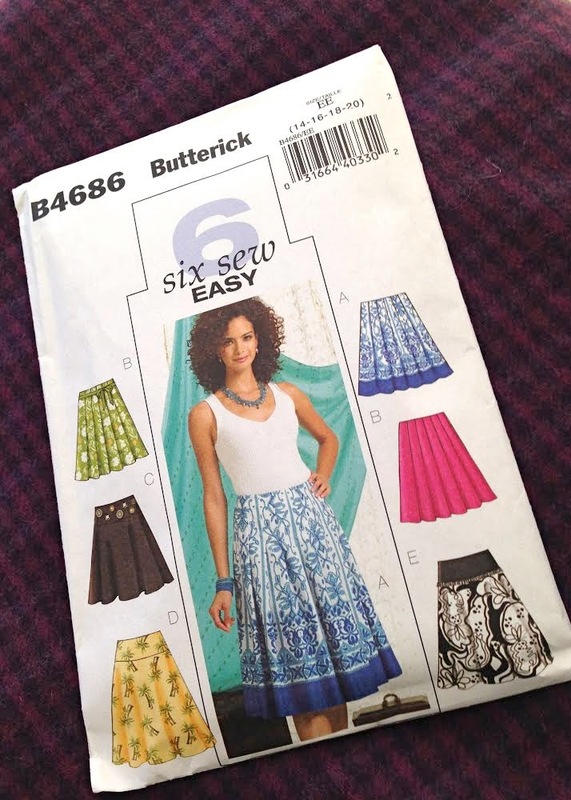 I chose Butterick 4686 View C skirt and made just a few changes. I shortened the pattern 4” and lined it. I changed the order of construction by attaching yokes to the skirts on both the front and the back, putting the zipper in the back and finally sewing up the side seams. That way, I was allowed to make last minute fitting adjustments along the side seams without pulling the yokes apart. When working with a medium weight fabric, it's important to reduce bulk wherever possible. 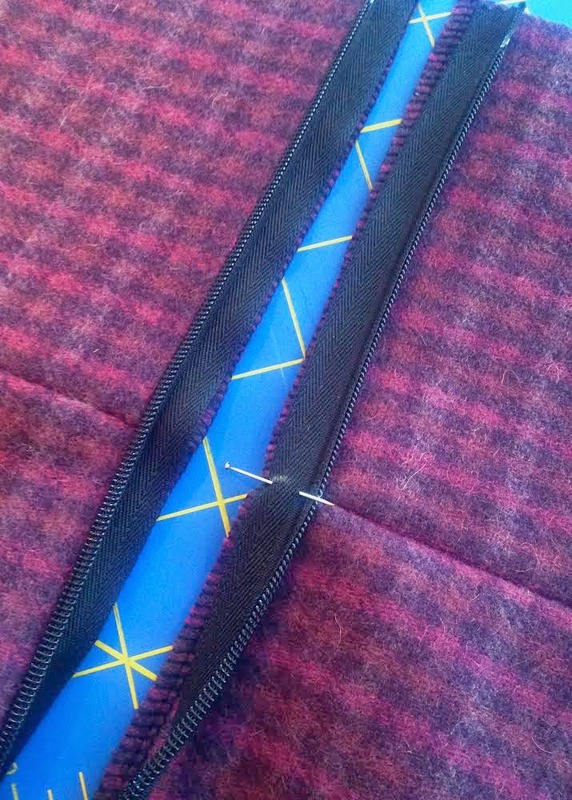 I cut away the seam allowances on the fusible woven yoke interfacing and graded all seams. 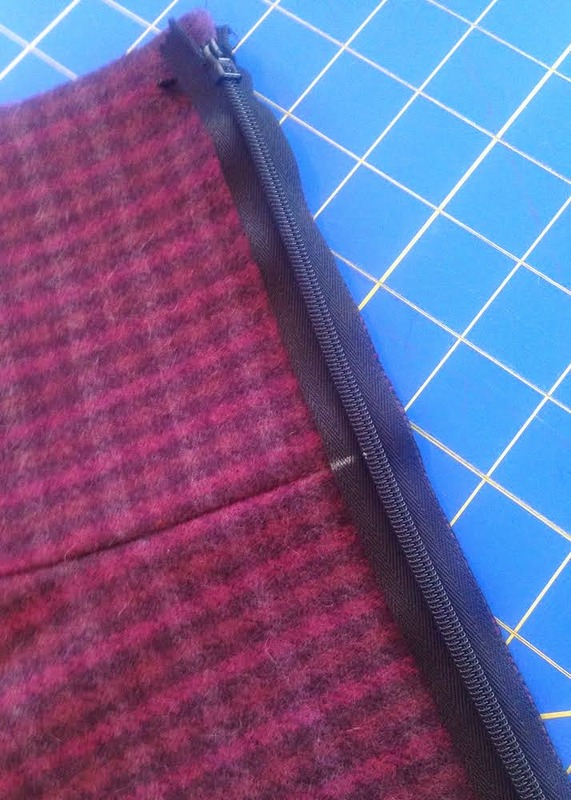 Instead of using the outer for the facing (as the pattern called for) I used lining fabric. It made for a smoother and less bulky yoke. And any way I can make my middle section “less bulky”, I’ll do it (especially if it doesn't involve giving up Reese’s peanut butter cups). There are a hundred tutorials on how to put an invisible zipper in so I don’t need to cover that here, but for this pattern it was important to line up not only the skirt top but also the yoke. I sewed one leg of the zipper in, then closed the zipper. I made a small chalk mark at the yoke seam (see above). I then pinned the other leg of the zipper, making sure to match the chalk mark to the opposite yoke seam, then I basted it in. I checked to make sure everything matched, then sewed it in. 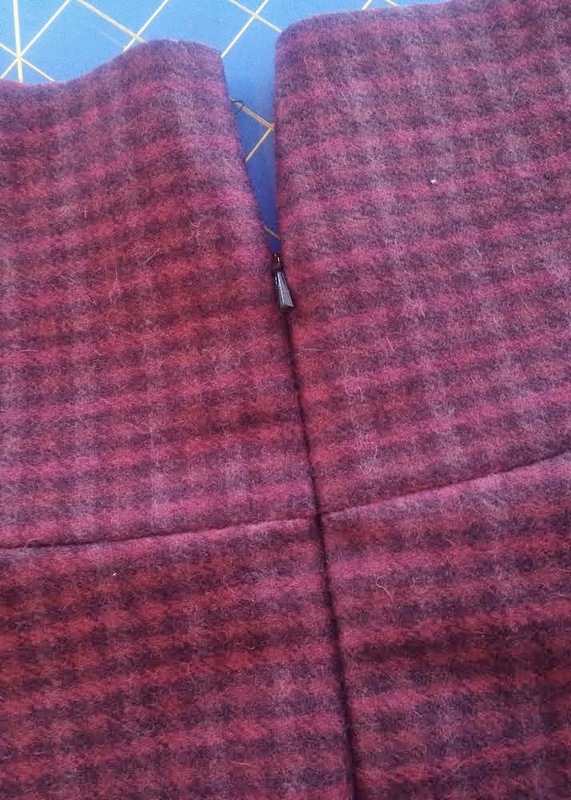 Can’t beat that for matched up seams. So, my new favorite “Boden” skirt (for a fraction of the price!) is the first winter piece I made this season. Great way to break the ice, don't you think...so to speak? That skirt is super cute! And I never would've thought you could use that pattern with that fabric. The pattern pictures look like you'd want to only use lightweight fabrics. Boden. Check. Shetland Wool. Check. LOVE. Lovely skirt! I love the idea of how you constructed the yoke and zipper on the skirt. Thank you for sharing. Very cute skirt! I like how you've styled the outfit as well. Thanks for the tip on lining up the yoke seams with the chalk. I always have issues with that, so will definitely give your method a try on my next opportunity! Its adorable and I love the color! Seriously love that tip for the zip on a yoked garment! Thank you so much for sharing it! Hi, I like your ideas of showcase the clothing by using real model, fabric design texture details, the great content, it seems every pieces blend in well to match it. I got it, thanks. Your skirt look great. I am surprised as I purchased the fabric and considered it a bit heavy for a skirt. Great for a light jacket or blazer. Ya just never know!